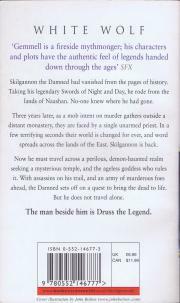 Skilgannon the Damned had vanished from the pages of history. Taking his legendary Swords of Night and Day, he rode fro mthe lands of Naashan. No-one knew where ha had gone. Three years later, as a mob intent on murder gathers outside a distant monastery, they are faced by a single unarmed priest. In a few terrifying seconds their world is changed for ever, and word spreads across the lands of the East. Skilgannon is back. Now he must travel across a perilous, demon-haunted realm seeking a mysterious temple, and the ageless goddess whoe rules it. 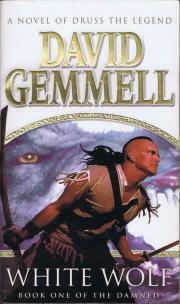 Wit hassassins on his trail, and an army of murderous foes ahead, the Damned sets off on a quest to bring the dead to life. But he does not travel alone. The man beside him is Druss the Legend.